Beauty is in the eye of the beholder. 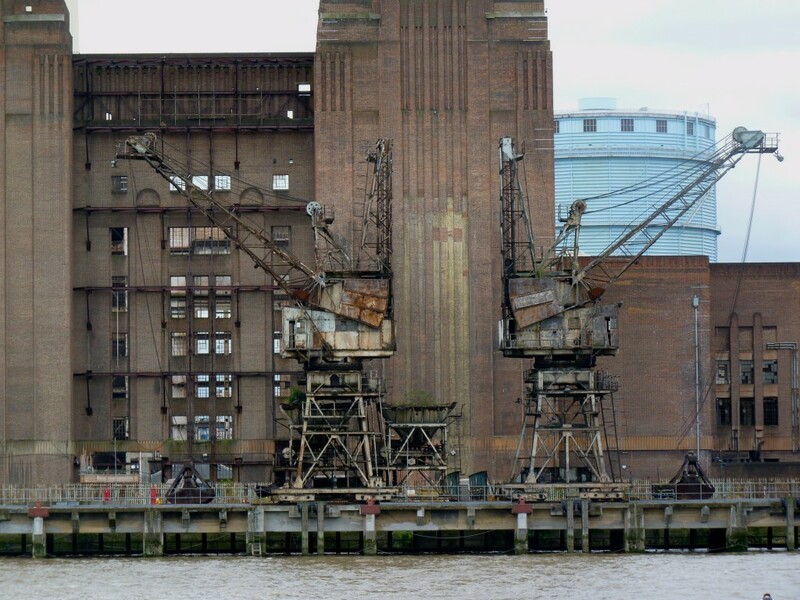 For my taste, these twin cranes or derricks at Battersea Power Station are the only public art worth pausing for from here to Tate Modern. But they won’t be there much longer. 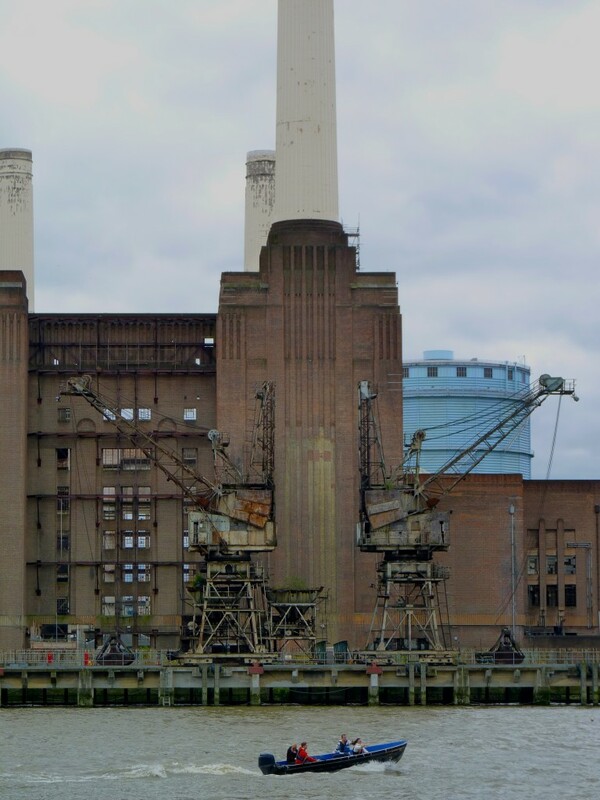 The eighty something year old power station straddles a huge Thames-side site, acquired for redevelopment by a consortium including Malaysian company SP Setia. You can see their distopic vision for the site here with the wharf tidied up, empty and out to grass. These cranes were built to grab and lift thousands of tons of Welsh coal that arrived here by barge. More edgy than anything by Hepworth or predictable Henry Moore, the Tweedledum and Tweedledee of public sculpture who hogged the field then and ever afterwards, the Battersea cranes stand in for the missing monuments by outside talent that the Festival of Britain couldn’t afford to commission, and London never got. 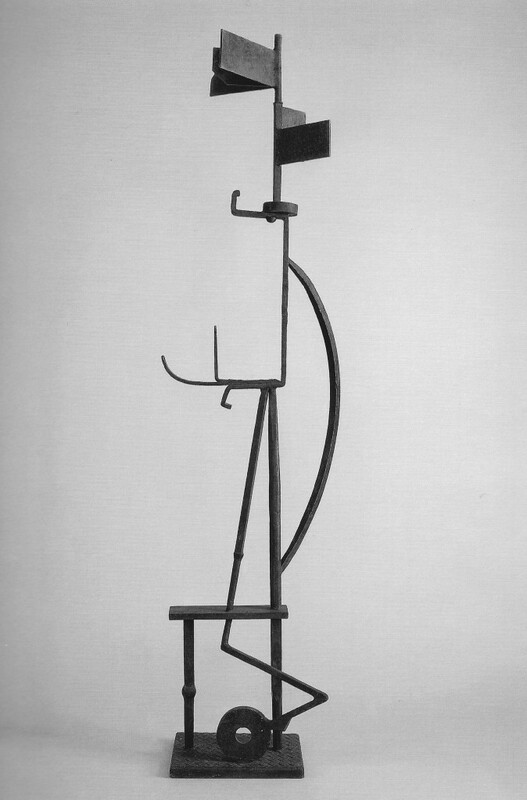 or the American David Smith (1906-1965), Sentinel 1, 1956. 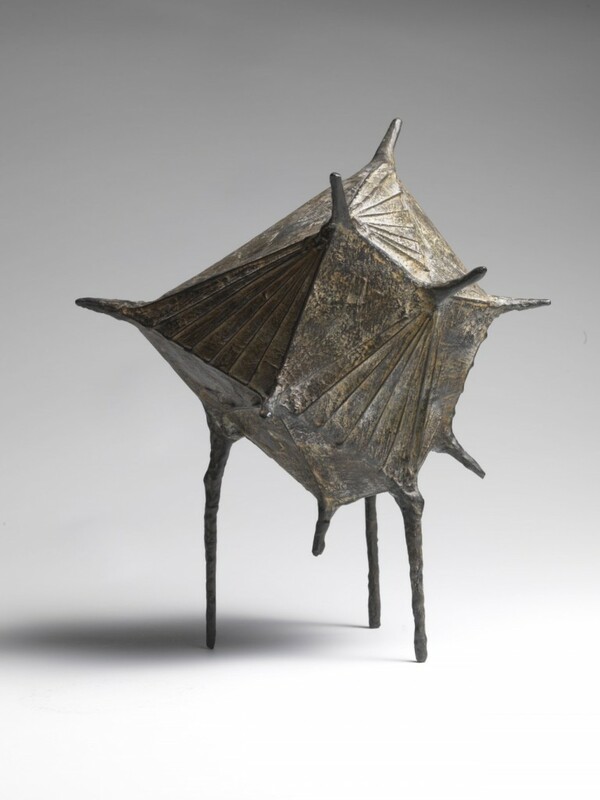 Or Moon of Alabama II, 1957-8, a Soviet Sputnik space-pod by home grown talent Lynn Chadwick (1914-2003), who won the international sculpture prize at the Venice Biennale in 1956. 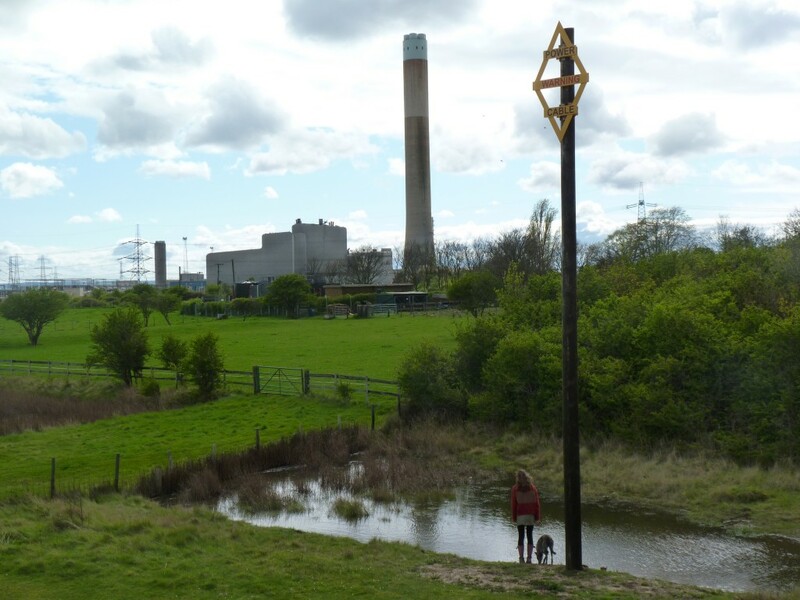 Outside London on the Isle of Grain where land values are so much lower, totemic power station clutter stays up until it rots, long after decommissioning. Is this a plutonium sump? 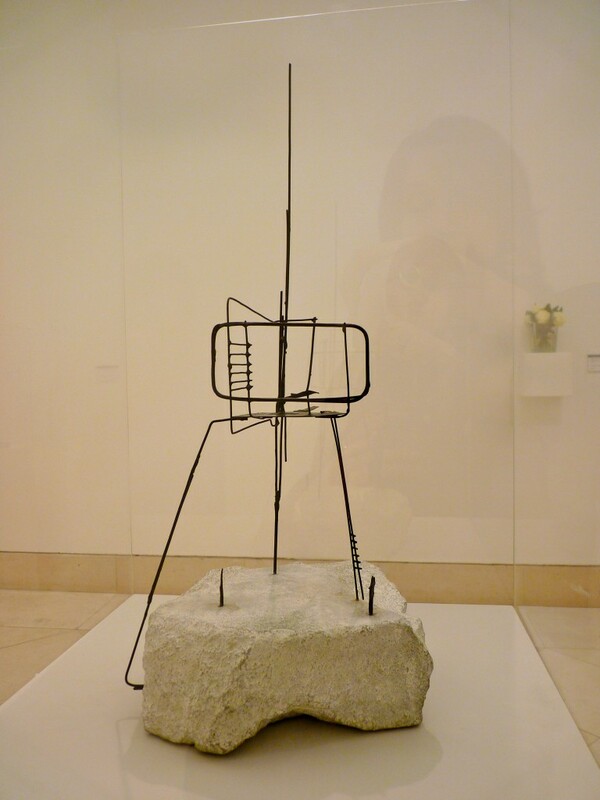 And once you have your eye in, there are unconsidered installations everywhere. 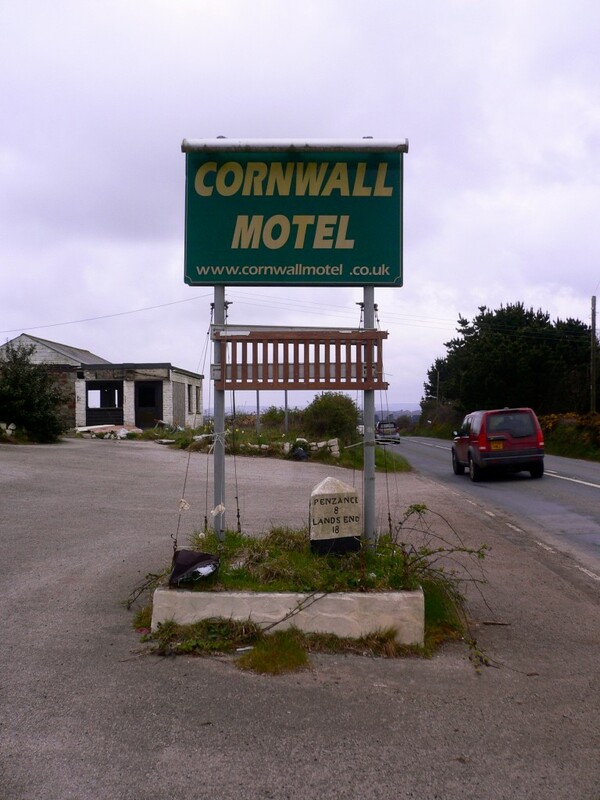 This is mine, on a pull-in by the road where the bedrooms of this 70s motel for troglodytes are open to the elements. 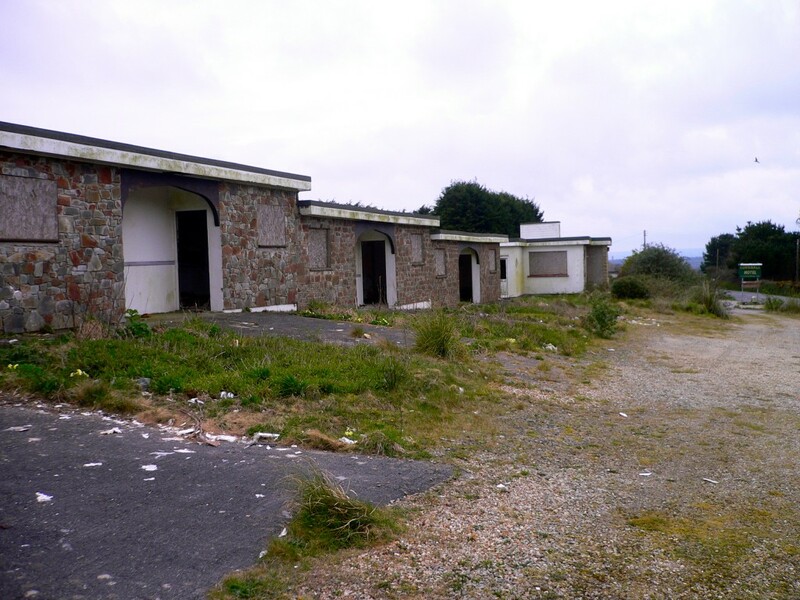 The litter, dereliction and graffiti were all fairly standard stuff. 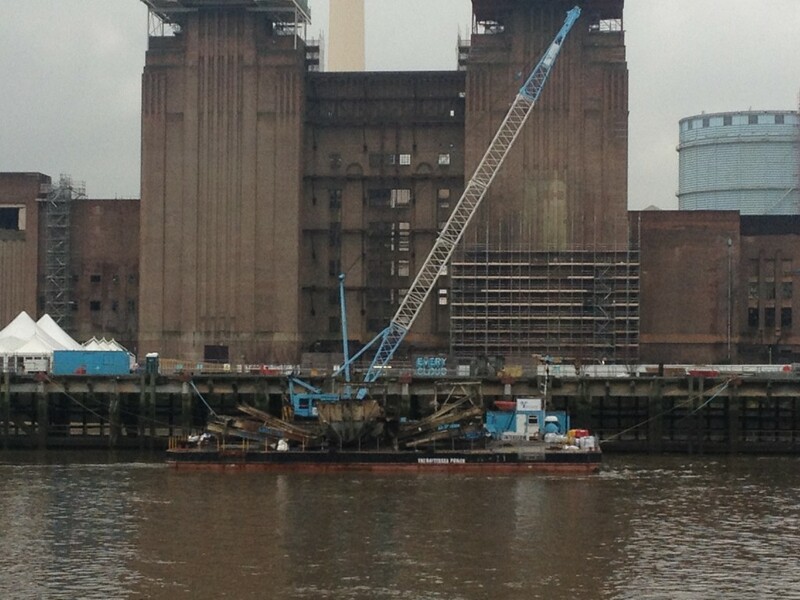 The dismantled cranes are now a pile of scrap metal, loaded onto this barged to be cleared from the site as it is gradually sanitised. 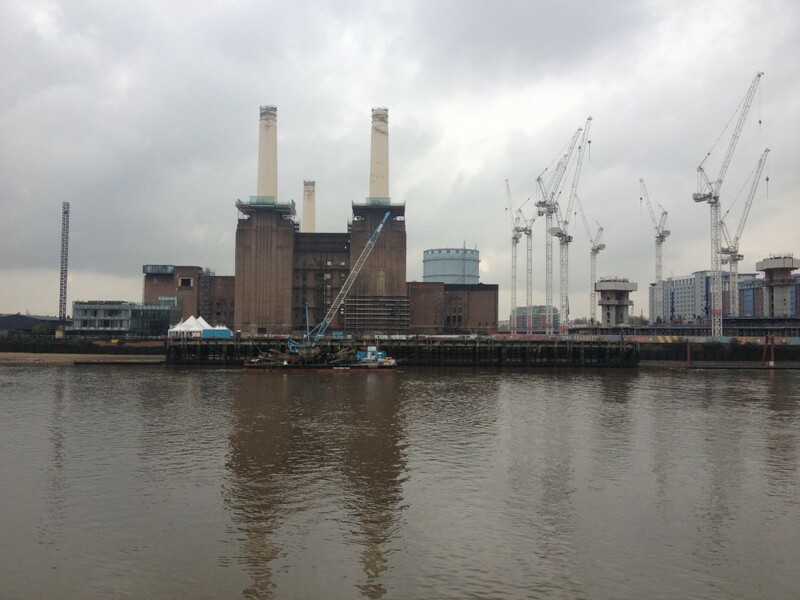 Thank you for the photo of the cranes on the river bank by the power station. I shall treasure it as a thrilling image from my early twenties.